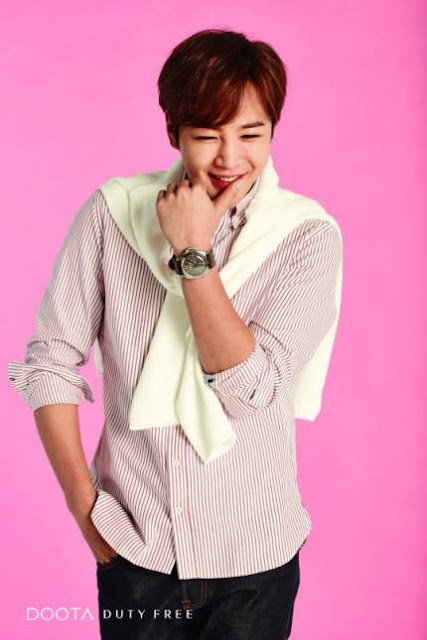 Korean Wave Star Jang Keun Suk is selected as a duty-free promotional model to lead Asian shopping culture. Jang Keun Suk will be selected as the new face of Duta Duty Free Shop and will actively work as a promotional model. It is expected that synergies between Jang Keun Suk and Doota Duty Free are expected to be great, as it is a global popularity and plays an active part in many advertising models both at home and abroad, and is firmly established as a leading Korean wave star in Korea. The Duta Duty Free Shop, which was established in conjunction with Jang Keun Suk, was the first duty free shop in Korea to enhance customer convenience so that customers can shop at night by utilizing the characteristics of Dongdaemun area. It is also a hot place because it provides a variety of benefits for late-night shopping customers. Jang Keun Suk is a model for the duty-free shop industry, so more than half of the customers are foreign tourists, so most of them are attracting Korean-style stars who have proven their influence overseas and are highly influential so that they can appeal to foreigners who are the main target. Jang Keun Suk fans from 35 countries around the world made a big publicity event at Gimpo Airport, Incheon Airport, Mart, Bus, Subway Line 2, Line 4 and Seoul Station, Proved. Jang Keun Suk, who is enjoying explosive love not only in Korea and Japan, but also in Asia, and Duta Duty Free, which will dynamically fill the lifestyle of Dongdaemun, the hub of Hallyu Shopping, is expected to draw a corner of the Korean shopping industry. Jang Keun Suk said: "I am glad to be the model of the Duta Duty Free Shop, which is the hot place of the Dongdaemun that is more beautiful at night and can be with you until late at night. I hope you enjoy shopping with me." On the other hand, Jang Keun Suk appears in Kim Ki-Duk's 23rd feature film 'Human Time'. The film contains the process of tracing the origin of mankind by examining the limits of human emotion, morality, and ethics. 'Human Time' starts shooting in early June, and Jang Keun Suk returns to the screen in six years.